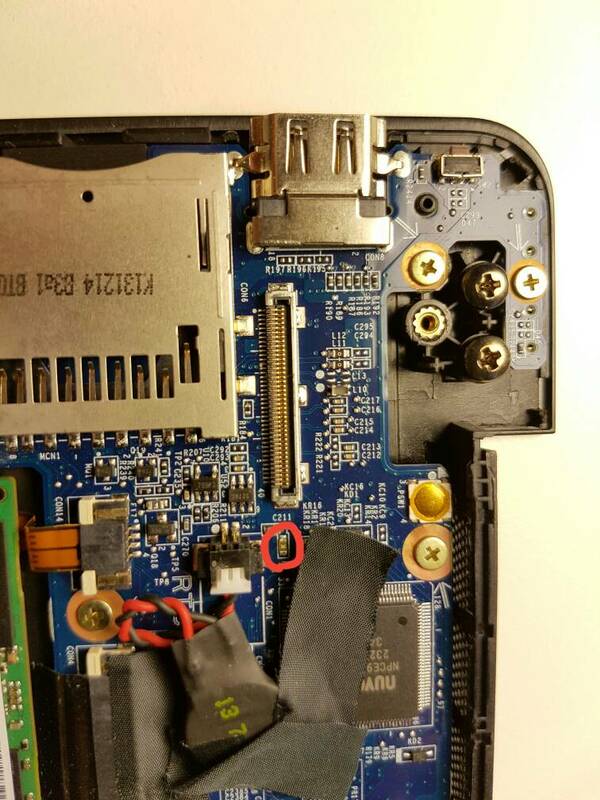 Has anyone had much luck finding the fuse for the Sony Vaio Duo 13 Pro - SVD132? Hi! O got a defective Vaio SVF142C29U, with a DA0HK8MB6E0 REV:E motherboard. 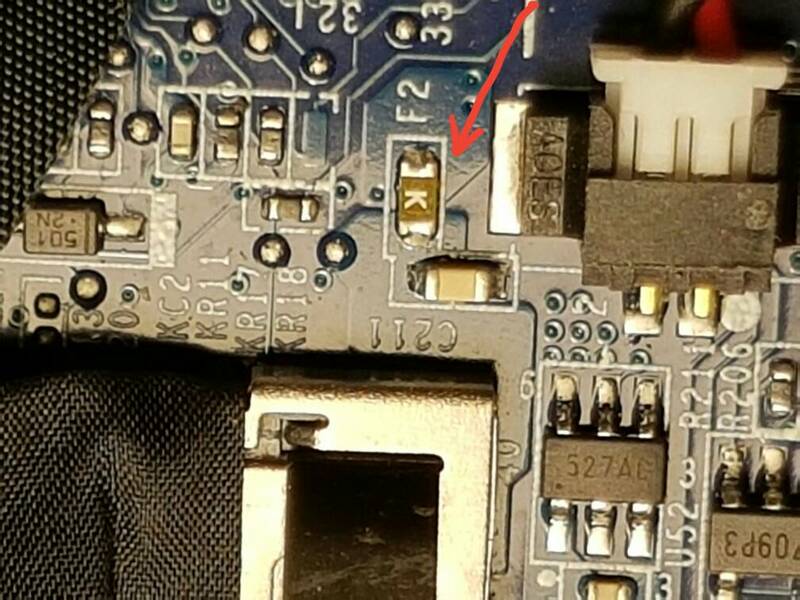 The backlight fuse (f2, on the flipside of the lcd connector) is busted, so I bypassed it. But now the machine won't turn on anymore! The strange thing is that if I remove the bypass, the computer works again (without backlight). I've not short circuited any component arround the fuse, i double checked. Someone got an idea of what could be my problem? Thanks in advance. I have the same mothorboard than you, but i make nothing. ¿Do you arrange your problem? ¿Can you say who is the correct fuse? Hi! 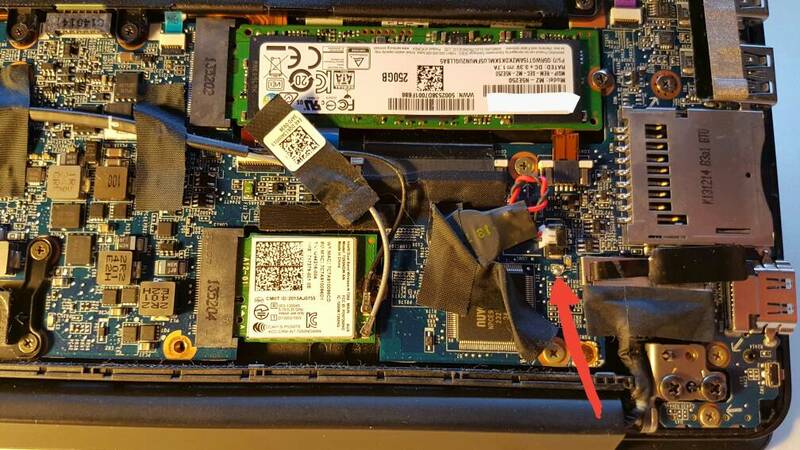 May be I have the same ultrabook, is your mobo MBX-281 model? I measure the fuse (with E-E mark) near the LVDS and was 40 ohms instead of 0omhs. How was yours? Could you fix it? Just for double check, here are the mobo bigpicture and a zoom near the lvds. This is the fuse? Hello, i have a Vaio SVF1521, with a DA0HK8MB6E0 motherboard, i found the fuse and i fix it. 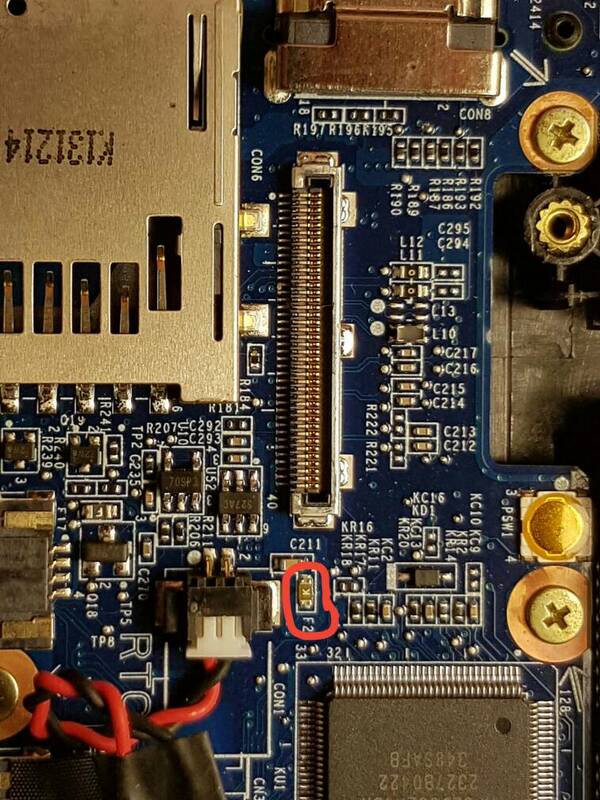 The fuse is "F2" you can found it in the back of the motherboard. I Solder above the fuse with a copper wire and the backlight is back.